As I write this the 3rd quarter of 2017 comes to a close. We are happy to report finally that we have had an exhibition of pupil’s art works. I have been looking forward to holding such an event for quite a long time but have never had favourable opportunities. There have always been problems of venue, which, around London come at a premium. This year we were lucky enough to gain support from ‘Crownhouse Creative’ in Morden, South London. This is a venture set up as part of a bid to bring some art & culture into Morden. It was a very welcome break and a lovely venue to display the art works. It also proved a good fundraiser for this year’s support in the primary schools. As well as children’s work we were able to show off some of the photos I’ve taken over the years along with the more recent photos (much more popular!) taken by our most recent volunteer, Andy Ollett. In fact it was his idea to mount the exhibition in the first place! The venue proved that popular, I booked it again for next year but will hold it over a longer period. The locals were sad to see the pictures being taken down! 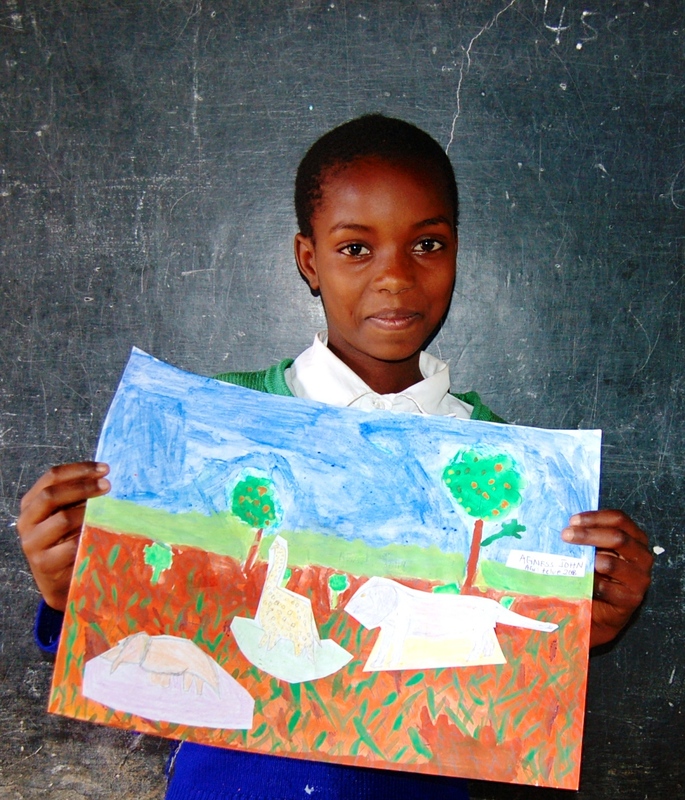 I’m back in Tanzania now and looking forward to holding some art classes again for next year’s exhibition. In fact, one of the patrons this year, a school administrator in a primary school in Reading may work with us on a picture exchange similar to one we held formerly with Roxwell school in Essex. This time I will be working with Mwowe School here in Tz. 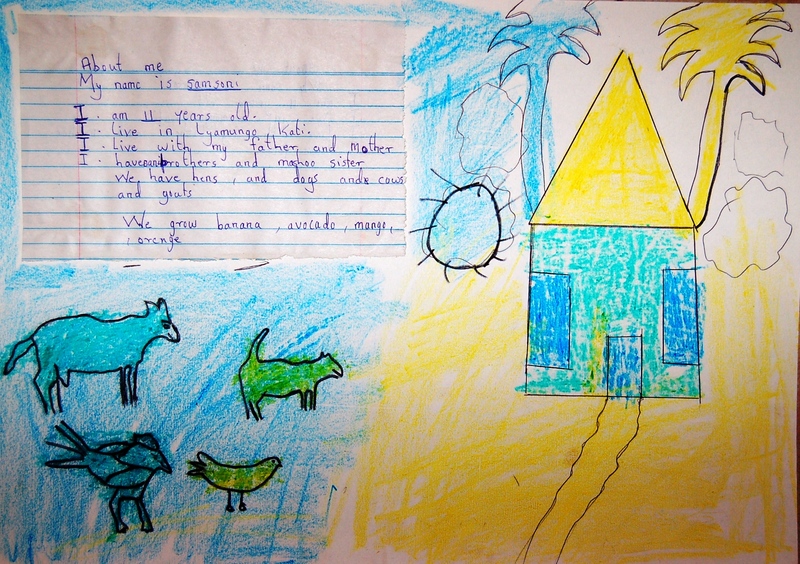 We hope to exchange pictures done by the children of each school describing their different lifestyles, hopes and dreams. We are, after all ‘Art Building Children’s Dreams’! Altogether this quarter, including the work in the events of the 2nd, we raised just over £850 for the children. Not a bad Summer’s work at home! 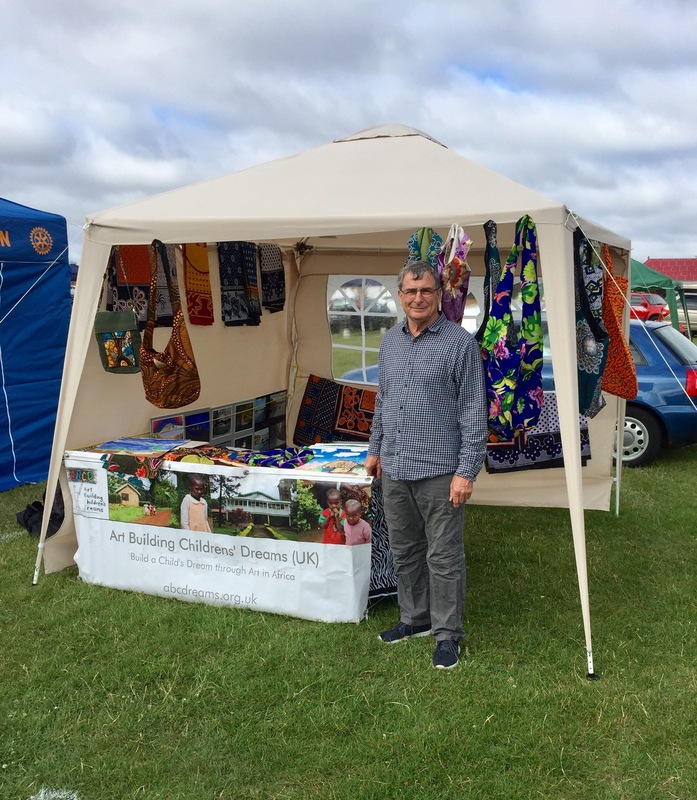 In July, as usual I became part of the organisation for the Morden Family Funday. This year, as in every year for the last 4 we have worked to put on a Fun Day for the people of Morden. The principle aim is to raise funds for charities in the community, of which ABCDreams (UK) is one, being registered in Mitcham. 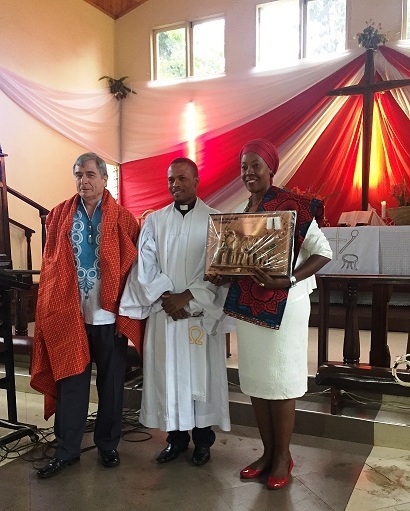 And finally, through our work with the local Church here in Tz, including our annual spectacles clinic, we were able to set up a computer facility in a church room for young people in the village who are not attending post-primary or post-secondary education. This year in July we helped place 6 of those young people in a local vocational training college. These were people who would otherwise not have found employment in the village. They would have had to leave to find work. On qualifying for admission the students are partly supported by the state but the college requires a partial donation from parents or carers. Thus, a further two students, coming from very disadvantaged backgrounds were refused. As ABCDreams (UK) previously supported these two young people in primary school I decided to continue their support into vocational training, thanks to your support as donors! They are now happy and doing very well. And just as a reminder from my last post, we were thanked as a charity in conjunction with the Rotary Club of Morden for all the work we have done this year to support the community. We were asked to attend a church service one rainy Sunday at the end of Q2 where our work was publicly acknowledged by the pastor. It was a very heart-warming and gratifying experience! More soon. Inspirational work John! 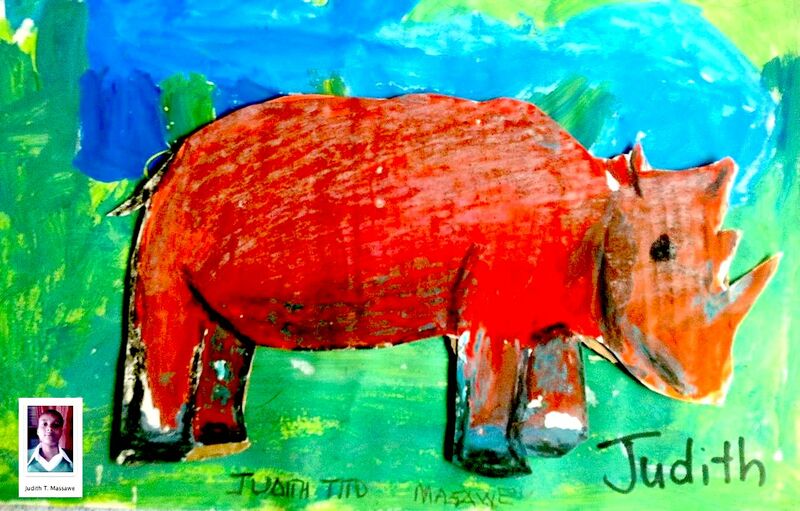 Love the rhino painting!